This is the best peanut butter I've ever tasted. I don't know what is the recipe guys. ( I know it's written on the label... 100% peanut ). But this is better than any bio/extra butter. Great for sandwiches, protein bomb meals, and my favourite... teaspoon, standing in the kitchen with open fridge door. If your looking to strengthen your jaw, make all kindz of jaw gainz or just looking for a cheap effective jaw workout I would definetly recommend this product! I’m a Peanut Butter lover and always try to find the healthiest versions at the supermarket. When I saw this one and decided to give it a go I had no clue it was going to be this good. 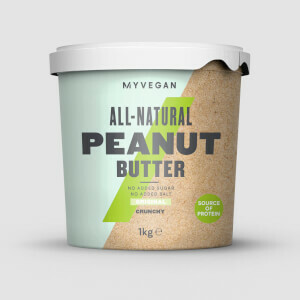 From the texture to the taste, it’s the best I’ve tried, even my girlfriend who wasn’t a PB fan before it now is a much of a fan as me, if not more. 100% recommended! This gets added to my basket every time I do a MP shop. Love the stuff. I go for smooth because I find it mixes better when adding to different recipes. Crazy to think its all natural and I prefer it to any other brand. Winner winner! Bought this to help with weight gain, I was honestly expecting it nice and sweet right out of the tub but all you get is the pure blended peanuts. Then again I just saw in the reviews and reminded myself its all natural sugars no additives. 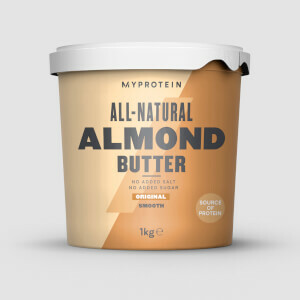 I've mixed this with the weight gainer shake and turns out pretty nice, I was previously using the peanut butter powder but they both mix in well with the powders. 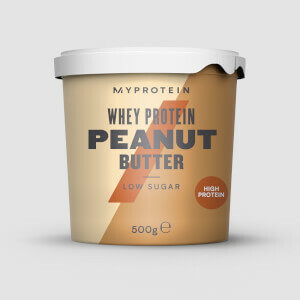 I've also tried the peanut butter with the myprotein pancakes, also tastes nice but I have had to add golden syrup and sprinkle a little sugar for the sweet tooth! Great product tho! This peanut butter is absolutely delicious! I have it in my porridge for breakfast, on rice cakes for lunch, and even use it to bake PB cookies! It’s so easy to spread and mix. The only problem is that I have to buy 3kgs at a time as I get through it so quickly! Amazing taste and great value especially for natural peanut butter with no added rubbish! We go through two or three of these a month! So disappointed. Opened up the tub and theres more water than the peanut butter. Tried mixing it up thinking it would gel together, didn't happen. Looks vile and doesn't even smell right.